DOVE`S FOOT CRANESBILL SEEDS (geranium molle) from Wildflowers UK. Dove’s Foot Cranesbill –geranium molle – grows in bare grassy areas on cultivated and waste ground. Plants normally grow to about 1 foot high and have purple-pink flowers from April to September. In wildflower gardens, Dove’s Foot Cranesbill is a useful plant to include in a flowering lawn, alongside plants such as Lawn Daisy, Selfheal, Speedwell and Buttercups. Dove’s Foot Cranesbill seeds should be sown in spring or autumn, outside, where they are to flower. Germination can be improved by lightly rubbing the seeds between 2 sheets of sandpaper. This is known as scarification and helps break down the tough outer shell of Dove’s Foot Cranesbill seeds. 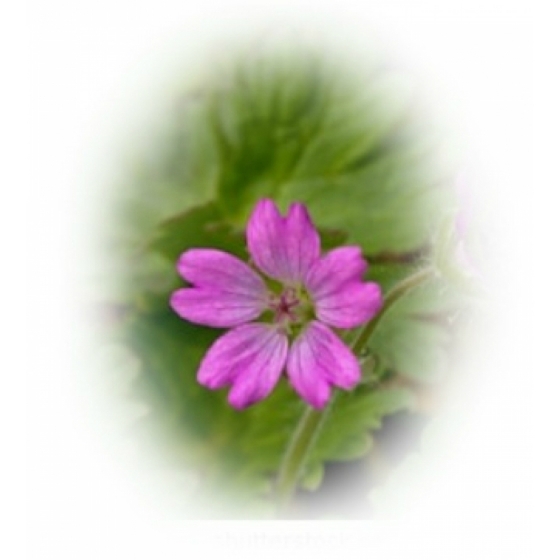 To purchase Dove’s Foot Cranesbill seeds, please select a quantity above and click add to cart. To ensure the best chance of success, we sell all of our wildflower seeds by weight, which ensures each wildflower seed packet contains a good quantity of seeds. The recommended sowing rate is 1 gram per square metre. All of our Wildflower seed packets contain seeds of Native British provenance.